Don’t worry that there’s no “Shake, Rattle, and Roll” franchise this year, because there are actually three horror films competing for this upcoming Metro Manila Film Festival (MMFF). One of these is “Haunted Mansion”, which is anticipated to be the perfect choice for people who are game for a lot of screams and frightening moments. What do this movie has to offer that differentiates it from its contenders “Nilalang” and “Buy Now, Die Later” in the horror genre? First, it is highly expected to be really scary as it features supernatural entities that are thought to have remained as urban legends only. Even its theatrical movie poster is scary enough to warn people that the film is something that will make you scream your lungs out loud. Another thing that differentiates this movie from the other two MMFF horror entries is its well-written script and storyline that are both essential in letting the viewers know what the movie is all about in the most creative way possible. Third thing is that it has simple, yet realistic enough CGI effects and prosthetics that make even little details add up to the weird and creepy atmosphere in many scenes of this horror-suspense movie. 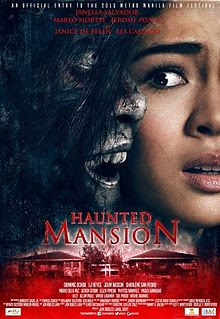 “Haunted Mansion” is the debut movie of three of the country’s most promising teen stars Jerome Ponce, Marlo Mortel, and Janella Salvador. 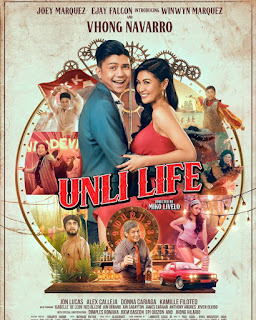 Produced and distributed by Regal Entertainment, this film also stars Sharlene San Pedro, Devon Seron, Ingrid dela Paz, Eliza Pineda, Iza Calzado, LJ Reyes, Paolo Contis, Janie de Belen, Dominic Ochoa, Lilet, Joem Bascon, Allan Paule, Phytos Ramirez, Archie Adamos, Paulo Gumabao, Sue Prado, Vangie Labalan, and Arlene Muhlach. It was directed and written by Jun Lana and is set to start hitting the big screens in different parts of the country with lots of frightening screams on December 25, 2015.